What do I need to do before taking lessons? What will I learn in the driving lessons? Can you help me with the theory test? What car will I learn in? I'm interested, how do I book a lesson? You CANNOT drive on the road without a Provisional Driving Licence and Photocard. You can apply for this up to two months before your 17th birthday, by filling in Form D1 which you can get from a local post office or by applying online - see below. 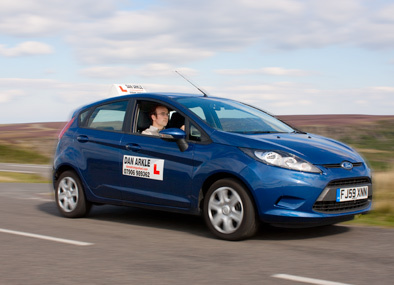 Once you have your Provisional Driving Licence, call me to arrange some lessons on 07906 989 362. Learning the Highway Code and watching and asking how friends and family drive is the best preparation for lessons. Government figures show that most people pass their test after around 45hours of tuition, combined with private practice. The biggest mistake I see learners making is to take the test too soon and fail. This is both demoralising and in the end costs more (test fees) and takes longer. I will help you decide when is the best time to take your test. I usually follow the syllabus as below but will personalise it according to your needs. Yes. I can help you understand any difficult questions and recommend the most useful books, DVDs and online help.